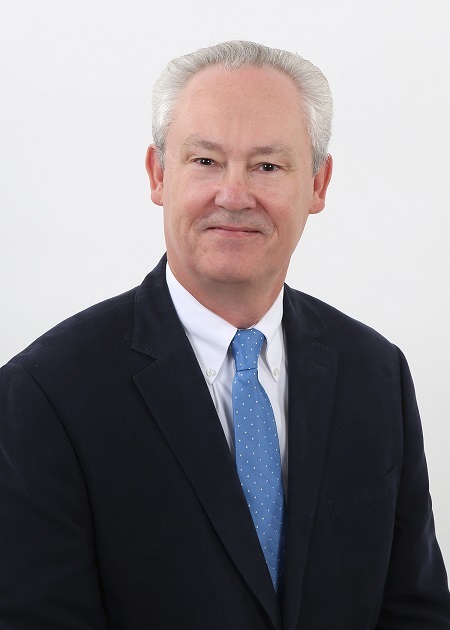 MILFORD, Conn. – November 7, 2017 — Thinklogical, A Belden Brand, a global manufacturer of secure, high performance KVM signal extension and switching systems for video-rich applications, announced today that Kevin Hadley has been appointed managing director of sales for Europe, Middle East and Africa (EMEA). Hadley comes to Thinklogical from Harris Corp., where he was responsible for UK MoD and other major accounts throughout Europe. His 30-plus year career in technology and manufacturing sales includes positions at Capitex Ltd., an international consultancy and export business, Marconi Defence Systems, and Racal Communications Ltd.
Based in the UK, Hadley will be responsible for Thinklogical sales to NATO, ministries of defence, and government agencies throughout EMEA. He holds a Bachelor of Arts degree in Economics from City University, London. Thinklogical offers the only mid- to large-scale fiber-optic KVM and video distribution system accredited to the Common Criteria EAL4, NATO NIAPC Evaluation Scheme: GREEN, TEMPEST SDIP 27 Level B and the U.S. DoD DISA JITC UCR 2013 APL information assurance (IA) standards required for use in secure facilities. Thinklogical products enable instant situational awareness, improve cyber security, reduce the insider threat, and simplify management of multi-classification information through a single IA-accredited matrix switching system.